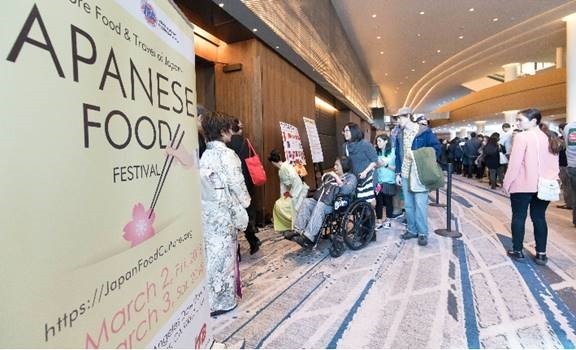 Sponsored by the Japan Food Culture Association, the event features food, sake and travel exhibits offered by more than fifty companies and organizations. This is a great opportunity for aficionados of Japanese cuisine and culture to enjoy a wonderful day. It is guaranteed to please one and all. The two players who contested the following game are probably unknown to the reader. 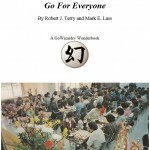 They are among the many unsung professional go players in Japan who are all but invisible to the public. As was the venue in which they played. All professional go tournaments in Japan hold preliminary rounds open to all members of professional associations in order to winnow out weaker or over-the-hill competitors while giving a chance to up-and-coming players who have yet to make their mark. But it is a long shot for any of them to make it through to the main tournament. 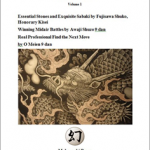 Perhaps that is why Ishida Yoshio, Meijin-Honinbo chose to highlight this game. He had reached the pinnacle of the go world, winning the Honinbo title five years in a row, and capped that accomplishment by also taking the Meijin title the previous year. He thus became the third player in history (after Sakata Eio and Rin Kaiho) to become Meijin-Honinbo. 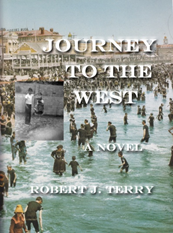 This might have made him reflect back on the journey he had traversed to reach that point. If so, the game he analyzes here would be ideal for that purpose. Whatever the reason, the Meijin’s perspective of a game is always worth paying attention to. It brings into sharp focus how important it is to concentrate on every move. And how beautiful the reading behind the moves played can be. Every go player can benefit from what is offered here. The fact that veterans like Sakata 9 dan and me and my contemporaries’ names are absent from the roll is a harsh reality of the go world that must be accepted. However, the steep challenge of the preliminary rounds of the next tournament has already begun. The 2nd Annual Tengen Tournament is no exception. The great Sakakibara 9 dan [Ishida uses flattering words about a second-rate player who was famous for making a beginner’s mistake in a position that led him to say, "I want to renounce my 9 dan title"] was defeated by the knockout punch of the newcomer to the front line, Kamimura 4 dan. This happened in the epic battle presented here for the reader’s pleasure. It goes without saying that Sakakibara 9 dan is famous for being a top exponent of the power game. Kamimura 4 dan climbed the rocky road from winning the amateur Honinbo title to professional go player, so it is easy to imagine the extraordinary work and spirit that he expended in that effort. After entering the professional ranks in 1971, he steadily rose to become 4 dan last year. By winning this game and thereby gaining entrance to the main tournament, we may say that Kamimura 4 dan has paved the way to a brilliant future. Making the diagonal move of White 12 as a forcing move and then the fencing-in move of White 14 is a comparatively new ploy. In the past I have experimented with this move, too. Following Black’s pushing through with 15 and cutting with 17, the sequence through the solid connection of White 28 is typical in this variation, so there is nothing in particular to comment about it. Black 29 is indisputably a big point [ooba]. One would like to say that the checking extension of White 30 is also a good point, but seeing the turning move of Black 31 makes one revaluate things. The turning move of Black 31 is an excellent point from a whole board perspective. This one move concentrates the game immediately into sharp focus. That is because for White there are few prospects left to exploit over the board. …compensation for the territory ceded on the right side might be sought by the knight’s move of White 1, exchanging this for the jump of Black 2. White then makes the defensive move of 3. This contains the implication of fighting to follow, resulting in a long, drawn out game. It seems that this would be the best strategy to choose. White 32 precludes something like a Black attack on the corner at 32, but since this follows Black’s strengthening the position with 31, it is regrettable that White 32 does little in the way of either offense or defense. The capping move of White 34 seeks to neutralize this kind of territorial framework based on a corner enclosure with two wings (29, 33) and is a standard playing method. However, viewed from results, White 34 is problematical. On the other hand, it is difficult to say what would be a better way for White to play. Something such as the neutralizing sequence from White 1 through 7 is strong. The weakening of the marked White stone in this board position is not all that troubling. 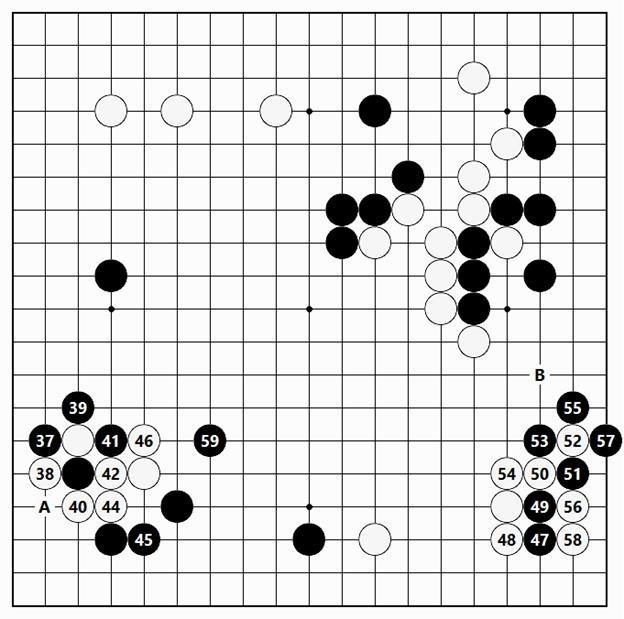 Black 37 is met by the crosscut of White 38, a standard playing technique [suji]. Here, it would be usual form for Black to play at A, taking hold of White’s stone, but relying on the advantage of the ladder being favorable, Black chooses the atari model of play with 39, which in this case is suitable. …one possible variation would start with White 1. The moves through Black 6 would then be an unavoidable development, but if White then extends at 7, Black cutting with 8 (to prevent White from pushing through at A) would be standard. White forces by pressing at 9, getting thick and strong outward influence, isolating Black’s marked stone. In response to Black’s atari at 39, the atari in return of White 40 is an unavoidable move. White 1 and 3 would be answered by Black capturing with 2 and 4. The atari of White A is no good because the ladder does not work. …one feels that slicing through the knight’s move with White 1 is the move one wants to play. Should Black cut with 2, White is gratified to be able to push through at 3. Waiting for Black 2 and then connecting at White 3 is an uncompromising order of moves. If Black plays atari with 4, pressing with White 5 is good. 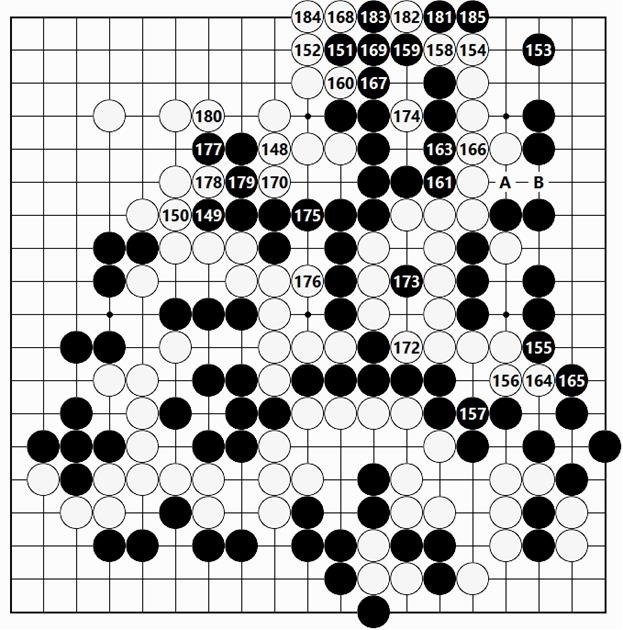 Now, capturing with Black A is the real move [honte], but the jump of White B is a thick and strong move that develops more rapidly than the sequence in the figure. From the standpoint of defense, the turning move of White 46 cannot be omitted, but it does not threaten Black on either the left or the right. This proves Black’s skill in choosing the variation to play here. The invasion at the 3-3 point of Black 47 is a sharp and shrewd move, while at the same time can be called a natural altering of the focus of play. The two-step hane of White 52 is also natural. Black makes a sente one stone capture [ponnuki] with 57, which leaves White with the unpleasant move at B, but Black looks askance at that in order to turn to the attack with 59. Saying that Black is playing in good form sums it up. The thick and strong turning move of Black 31 in Figure 1 [the Black stone four points above Black 95] has been shining brightly all over the whole board. Here, too, in the middlegame fighting, it helps things to go favorably for Black. …a commonsense way of attacking would be for Black to pull back at 1 and then play the standard knight’s move of Black 3. In this game, this would have been sufficient for Black as well, but since the ladder is favorable, the hane over White’s stone with Black 65 is more severe. The connections of White 68 and 70 are both bad shape [empty triangles] but that cannot be avoided. …White had the chance to extend out with 1, but incurring the connection of Black 2 means that even if White cuts at 3, Black can move out with A and cannot be caught. Even if Black does not move out with A and instead makes the forcing move of Black B, White would still have painful shape. The turning move of White 82 aims at wedging in at A. The cut of Black 83 is made to prevent that. Black could ignore the jump of White 84 to capture on the lower side with Black 87, which is big, too, but Black distains real profit to make the big jump of 85. From the perspective of attack and defense this is an essential point. Kamimura 4 dan’s superior whole board vision can be seen here. That is because if Black omit playing at 85, there is the fear that White would play in the vicinity of B to counterattack. Starting with the diagonal attachment of Black 91, White 92 and the cut of Black 3 begin the final, decisive battle. In answer to Black’s pressing at 95, White’s extending at 98 would let Black take the key White stone with a move at C. That would end the game right there. Ballooning out with White 96 is a do-or-die move. However, Black’s extending out with 99 overwhelms the surrounding positions. If White loses the escape route to left side after Black 1 and 3, there is no alternative but to press at White 4. When Black makes the turning move at 11, it is essential that White hane at 12. That is because if this is omitted, Black’s extending straight out at 12 makes it impossible to prevent Black from linking up with the position on the lower side. Black 13, separating White’s groups, is severe. Pushing through with White 20 and cutting with 22 is dictated by the impetus of the position. However, once Black becomes absolutely safe with the jump of 23, White has nothing to exert force against. The attachment of White 24 is tesuji. Then, butting against Black’s stone with White 26 and jumping to White 28 is the last aim that White has: to attack Black on the upper side. But the line [suji] of Black 31 followed by the press up at Black 33 ensures that this group will not get saddled with dead shape. The block of Black 41, besides making sure that the escape route of the group on the upper side is secured, is a calm and detached safety measure. The unpleasantness of White 1 and 3 is avoided while at the same time the potential for large profit is left for Black. …there is the implication of a wedging-in technique [suji] of Black 3. White 4 played as White 5 allows Black to push through at A, so White’s defensive move of 44 is unavoidable. Regardless of that, Black judges that the prospects of prevailing in a fight on the upper side is good, so turns to play at 45, a bitter pill for White to swallow. If Black lives by playing at 48, it is all over for White, so one way or another taking Black’s eyes with White 48 is the only move. …sliding to White 1 resolves the situation by both sides living. This is a harmonious conclusion, but since Black is able to push at 2, the peep [nozoki] of A is available. On top of that, the attachment of Black B would force White to make life in gote, certainly not a smooth course for White to follow. From the unclear board position seen after the block of White 52 to the race to capture, everything has proceeded due to the impetus of the situation. For White 66 as well, usually White would exchange A for Black B to keep sente. But on this occasion, in the opposite way White uses a bad move that fills a liberty of White’s own group. Seeing Black 185, White had no choice but to resign.